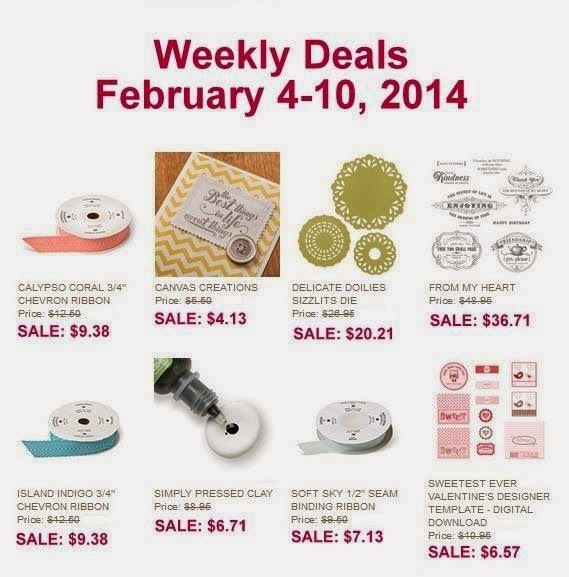 Playing with Papercrafting: Weekly Deals and New Announcement from Stampin' Up! Weekly Deals and New Announcement from Stampin' Up! I didn't stay up late enough last night to get these in my blog post for today, so you get a bonus post with all the Weekly Deals and a new announcement from Stampin' Up! And just announced today from Stampin' Up! is a new photopolymer personalized name stamp! The Circle Monogram stamp! Woohoo! You can order this and all other personalized stamps yourself through my On-Line Store, where you can now see a preview before you complete the order. Be watching for a new photopolymer stamp set coming out this week!